Walmart is the country’s biggest retail store with stores in every state and in most major cities. Like most things Walmart, they decided to build their own in-house team for logistics and transportation. 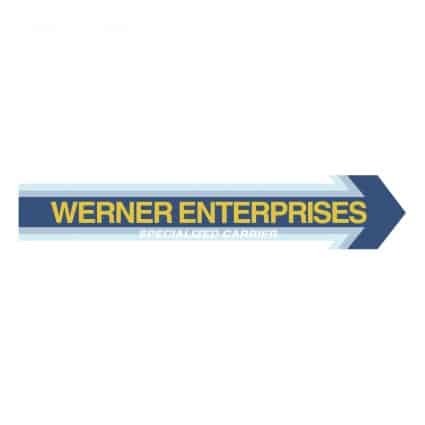 The company is such a powerhouse that they have their own dedicated team of truckers to ensure their product reaches their many warehouses across North America. In January 2019, CBSNews reported, a new drive to raise current driver pay. Walmart says a driver will now earn $87,500 on average during the first year. 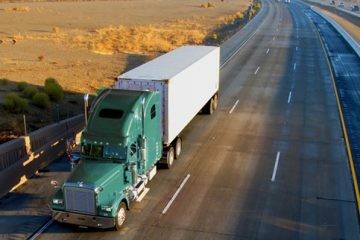 Drivers in the the company’s northeast region will earn a 5 percent premium on mileage and activity pay. That puts that back at the top of our national carrier pay rankings as the company works hard to address the growing driver shortage in North America. 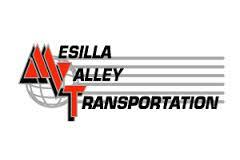 Both local driving jobs and long haul trucking jobs are offered through the company. Walmart trucking jobs can be found in nearly every state in the country. 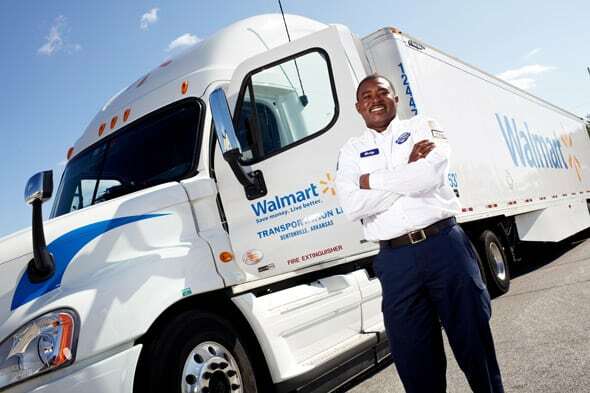 Walmart is named as one of the top trucking companies to work for in the industry. All routes are drop and hook. Drivers are not responsible for any loading or unloading when working for Walmart. The company employs its own fleet of 8,000 drivers. Driving nearly 740 million miles last year alone, Walmart owns more than 6,000 tractors, 53,500 trailers and 5,600 refrigerated trailers. 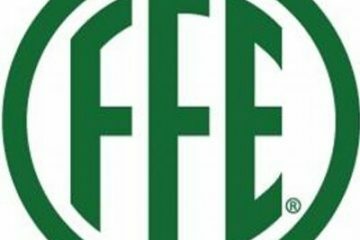 Interstate (Class A) Commercial Driver’s License with Hazmat endorsement (including cleared background check) OR will obtain Hazmat endorsement (with cleared background check) within 120 calendar days of date of hire. Minimum of 30 months experience working in a full-time Class A tractor/trailer driving position in the previous 3 years. No convictions for a DUI, DWI, OUI, or reckless driving involving alcohol/drugs within the last ten (10) years. No preventable accident* resulting in a fatality or catastrophic injury in driving history (commercial motor vehicle). *The preventability of any accidents will be determined by Walmart based on the ATA Guidelines. If you want to work for the company, you must either live within a 250 mile radius of the facility you applied with, or you must be willing to relocate before the first day of work. All drivers will go through an initial orientation with the company. All jobs within the company are full-time positions, and drivers will have home time every 2 days and time off on the weekend. You won’t be demanded to work extended hours or never have home time like with other companies. Additional Pay: Walmart pays for everything from training to mileage, so you’re always paid for your work. Hands–free: Your job is to drive – period. You won’t be required to load or unload freight at any time. Bonuses: Quarterly bonuses are given to all drivers that maintain a safe driving record. They have also upped their bonuses with their new driver recruitement strategy for 2019. They are offering up to $1500 for referrals. Walmart is very direct with their current salary numbers and states that a first-year driver working 5.5 days per week earns, on average, $87,500 per year. These figures will obviously change depending on location and bonuses. 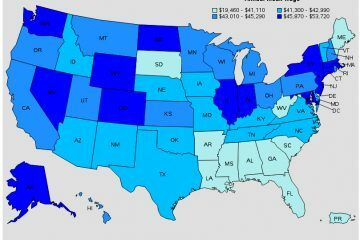 Further salary statistics based off of input from 18 employees state that Walmart trucking jobs pay a salary that is 64% higher than the current national average. Cash bonuses per year are between $1,500 and $4,000. Profit sharing is also provided, with an average profit sharing of $1,698 (per Drive4Walmart.com). Walmart also offers safety bonuses and safety days to reward safe driving. Employee Discount: All employees will enjoy a 10% discount on all general merchandise and 10 percent off of fresh fruits and vegetables. Retirement: Under the current 401k options, Walmart will match your contributions up to 6%. Health Insurance: Many affordable healthcare options are offered to truckers. Employees do complain that healthcare costs have increased over the past few years with less coverage provided. Walmart does offer dental and vision insurance as well as life insurance. Discounts at the in-store pharmacy are provided. All employees for the Walmart Company are allowed to enter into the stock purchase plan. Under this plan, you’ll be able to buy stock in one of the world’s largest companies. Hiring is dependent on 30 months of experience driving commercially in the past 36 months. As a driver, you will need to work for another company before joining the Walmart Company as a driver. The company is very strict with this policy and will not make any exceptions. The company says it is looking to hire 900 drivers in 2019. Many truckers state that working for Walmart is much better than working for competitors. The main reason truckers prefer Walmart over other companies is the pay and home time. Normal work schedules are 8 – 10 hours on the road per day. All drivers will be trained to meet the standards of the company and will be required to fill out detailed reports. Planning alternate routes and computer usage are requirements of the job. Walmart does not discuss any team driving options, and with all freight being drop and load, it’s unlikely that Walmart will focus on this sector in the future. If you’re a truck driver looking for a normalized schedule with great benefits, Walmart trucking jobs may provide you with the best salary and home time in the industry.